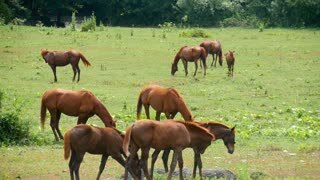 Horse grazing on green meadow near forest on sunny day. 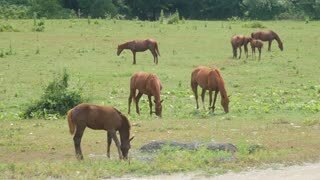 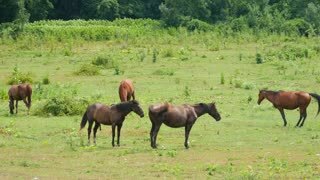 Herd horses grazing on pasture. 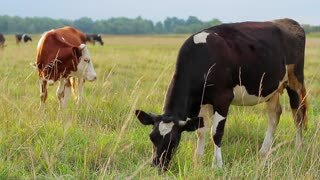 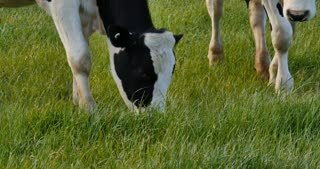 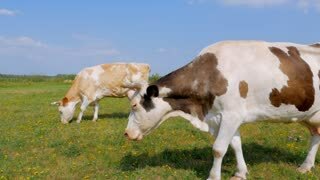 Farm animals graze on green meadow. 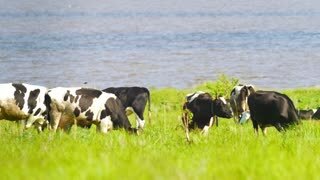 AERIAL: Herd of cows grazing in the vast pasture on a beautiful summer evening.